I find PUB’s reasoning for taking over the Hyflux desalination plant quite puzzling. It says Tuas Spring has “negative value” which implies that the intended take over by PUB at Zero value is actually “helping” Hyflux. But Tuas Spring has a “negative value” because of its huge amount of debt that exceeds its book value. Is PUB saying that it is going to take over its debts as well? From what’s reported, apparently not. PUB is only interested in the desalination plant only. On top of that, PUB says it will take over at Zero value while “waive” off the contractual penalty. But wait. The plant has an intrinsic value of at least $1 Billion. How much is the penalties involved here? 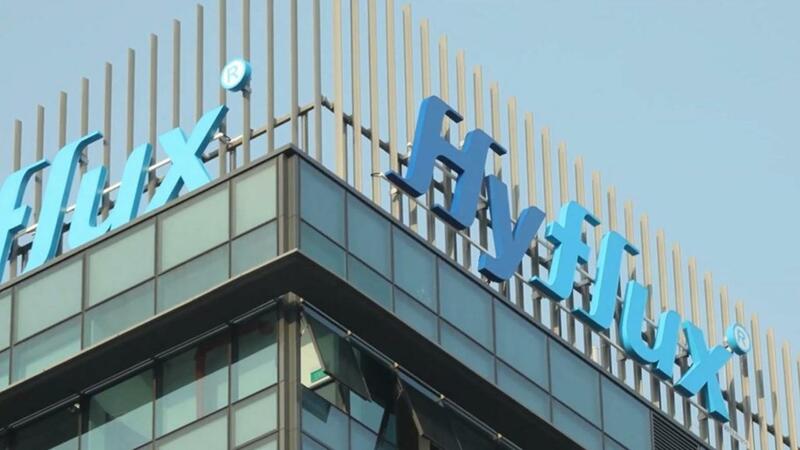 Unless PUB is taking over the whole subsidiary Tuas Spring from Hyflux, including all the debts accumulated, then if could be considered a good deal to Hyflux. But stripping off the $1 Billion desalination plant off without paying a single cent, that will make Hyflux even worse, net value will drop another $1 Billion! What logic PUB is using to justify its Zero Value take over? Please lah, Goh Meng Seng pride himself on economics but he can’t even understand simple economics….PUB will take over the desalination plant but not the debts because our govt will not allow taxpayers to be liable for Hyflux debts. Our govt is protecting taxpayers. Hyflux debt is owned to private investors, it is up to Hyflux to sort it out. @Mr. Goh; why are you worry about the interest of Hyflux? PUB should take over Tuas Spring excluding its debt. If Hyflux lost another billion $, so be it! Hyflux should pay for all its debts. Hyflux’s failure was due to greed, biting more than it could chew! When the CEO counting her obscene salary every month, did she shared with you, Mr. Goh? Sg BASHING CONtinues,this time whacking a company n CEO they sang praises. Guess taking advantage of sgs when they are weak is PAPie$’ TRADEMARK? Yesterday sang “good song” of hyflux…so proud of its success ! Today,…”throw mud” and “add more sinking weight” to “oldie and useless” Hyflux ??? Hmmm,…just typical of Pappy ..thats what Pimps and prostitutes (P.a.p) trained people behaves. This type of people….better stay far away ! No words from Mr GMS. How about an article about the embarrassment of Ma and PH ? Someone pointed out that Tuas Spring is making big annual losses. If you take over a loss making “asset” at zero value, you are making losses unless you can quickly sell the “asset”. So is PUB making a good deal or a lousy deal? Not to mention that PUB is waiving off millions of dollars in “punishment” that it should be getting from Hyflux. Well too early to judge. Last time when steve jobs fire from apple. Apple was losing monies for many years. Later Steve jobs went back and in the beginning also difficult times. Subsequently he manage to successfully steered Apple to peak after peak. Therefore depends on the management taking over and most importantly … PUB please dont anyhow raise water fees to cover any losses. TOO SOON TO CALL govt protecting taxpayer in PUB’s threatened takeover of the desalination plant. IT IS CURRENTLY LOSS-MAKING, therefore cash flow negative, most likely severe drain on financial resources. That is why HYFLUX is in a financial dire straits of going bust. PC Ong: Please lah, Goh Meng Seng pride himself on economics but he can’t even understand simple economics….PUB will take over the desalination plant but not the debts because our govt will not allow taxpayers to be liable for Hyflux debts. Our govt is protecting taxpayers. Hyflux debt is owned to private investors, it is up to Hyflux to sort it out. PUB, of course, not taking over the debts of desalination plant. Legally, it belongs to shareholders of Hyflux and its SUPER GREEDY GULLIBLE DUMB bond holders. PUB is not taking over listed entity but it can’t take over the desalination plant for free. SHAREHOLDERS AND BONDHOLDERS ARE SMART ENOUGH TO SUE IN EQUITY LAW FOR FINANCIAL SETTLEMENT ON GROUND OF ‘UNJUST ENRICHMENT” GROUNDS. You can’t walk in and take assets of a collapsed entity which rightly belongs to the liquidator – most likely a negotiated outcome. IN SO DOING, PUB MIGHT BE TAKING OVER A DEAD CORPSE – MONEY LOSING ENTERPRISE AND TO COVER ITS OWN FINANCIAL SOLVENCY QUICKLY RAISE WATER BILLS FOR CONSUMERS. HYFLUX, AS i UNDERSTANDS IT, IS USING REVERSE OSMOSIS technology – energy intensive and therefore costly. Read this weblink. Australian scientists have invented graphene technology, much cheaper route to desalination and much better water quality. Hyflux’s desalination plant could be a big white elephant for PUB, TAXPAYERS ARE ALL SUCKERS AGAIN. EXACTLY RIGHT – ACQUIRING A BLEEDING LOSS-MAKING ENTITY – will continue to drain the financial resources and balance sheet of the acquiror. @PC Ong is TALKING CAWKED – routine habit of this blogger. Waiving off millions of dollars in “punishment” is mirage of self-delusion of fantasyland dreaming. Hyflux shareholders and bondholders can only offer their “free backside” because they all run out of cash to compensate PUB! Spring making losses? : Someone pointed out that Tuas Spring is making big annual losses. You IB!! “Govt is protecting taxpayers?” Then why lost so much of tax payers funds to other countries in the name of so call ‘investments’ losing billions. Here TS is build from the tears, blood and sweat of retireers hard earned funds and in the guise of ‘confidential’ terms, information not relisted. Seems more like day light robbery in full view of all govt regulatories and authorities. Disgusting!! ACCOUNTING IS NOT VALUATION, very few people without deep business experience knew this – even lots of dumb accountants. GMS:On top of that, PUB says it will take over at Zero value while “waive” off the contractual penalty. But wait. The plant has an intrinsic value of at least $1 Billion. How much is the penalties involved here? MAYBE I SHOULD GIVE OLIVIA LUM A CALL AND ALSO OFFER HER $1 FOR HYFLUX LIMITED – minus all its debts and waivers from PUB too!! What is her mobile phone number? Sorry lah, PUB/govt would not approve your offer lah. YOu know what is “Poa siak” (sure eat)? i dont understand,selling water can lost money??? IT IS NOT SELLING WATER. Desalination is expensive process technology with huge capital cost upfront which must be expensed off as depreciation charges. There is manpower costs just like an oil refinery. Hyflux use reverse osmosis technology – if I understand correctly of this fact – highly energy intensive which I believe is the reason why Hyflux set up its own power plant, both adding to total costs. Newer graphite technology is cheaper. kimschan: i dont understand,selling water can lost money??? how come say sure lose money when before they could make money? so,operating costs subjective,where money goes to? if sure cannot make money,why last time can? so,something is wrong here lah.